Leave it to Kanye West to go above and beyond. As if a bouquet of flowers or a card aren’t enough, On Mother’s Day, Kanye West surprised wife, Kim Kardashian with an orchestra performance on Sunday, May 8. The 35-year-old reality star awoke to a private performance by an all-female orchestra in their Calabasas home early Sunday morning. The 12-piece ensemble played “Let it Go” from the popular movie, “Frozen” and also “It’s the Hard Knock Life” and “Tomorrow” from the film, “Annie”—courtesy of the couple’s 2-year-old, daughter, North, who had a say in the music selection. A bathrobe clad Kardashian held North over the balcony to get a better view of the living room as the pair enjoyed the show. West also gifted Kardashian with a bench made entirely of pink roses. “Flower bench,” the reality star captioned a Snapchat of the bench. 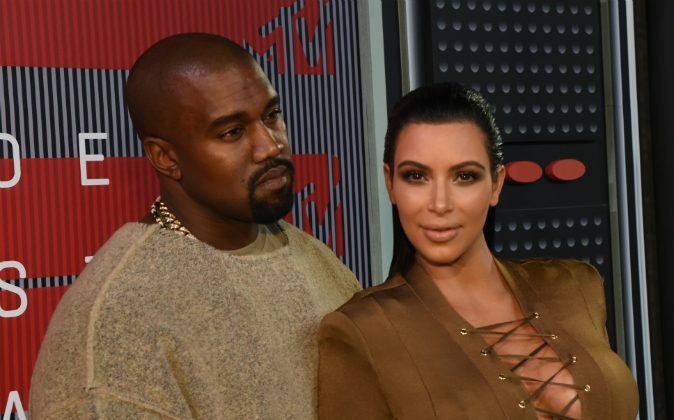 West oftentimes raves about his love for Kim Kardashian, often speaking about her influence on pop culture. “She broke boundaries with fashion where designers weren’t trying to make clothes with women with shape, and now they’re all about embracing and empowering women,” he said in an interview with Steve Harvey on his morning show on May 2. Kardashian has reciprocated the feelings about the Chicago rapper as well. West also remembered his own mother, Donda West—who passed away in 2007 following breast reduction surgery—on Mother’s Day. He uploaded a photo of a nameplate necklace of his mother’s name onto his Twitter page, thanking his mom for watching over the West family. Thank you for watching over our family. Nori and Kim say happy Mother’s Day… And Saint smiled.